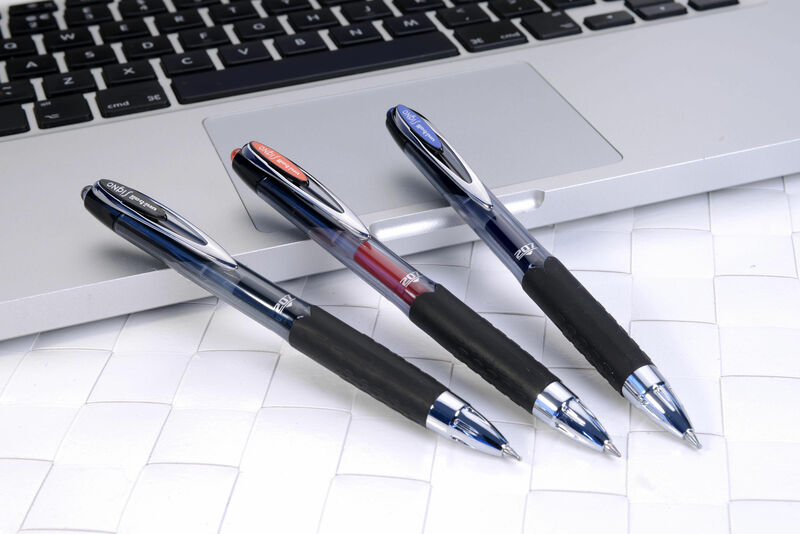 • Ink is fade resistant, water resistant and tamper proof. 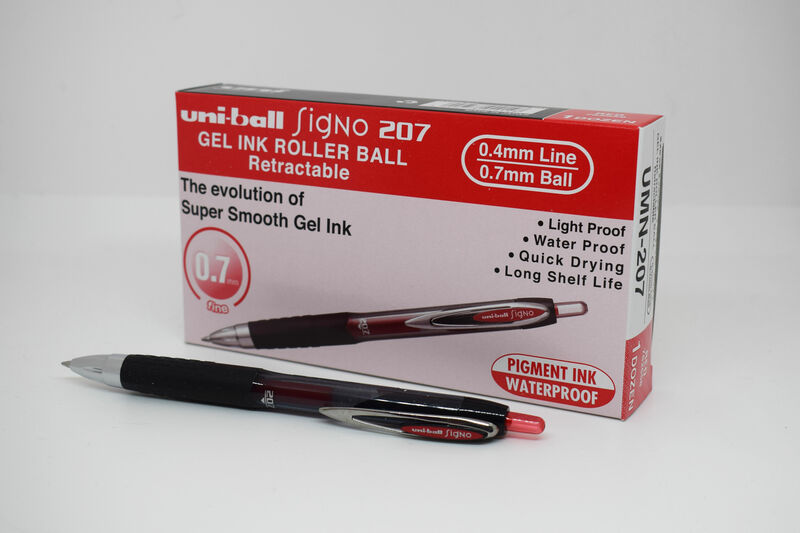 This Uni-Ball Signo 207 Rollerball Pen contains smooth gel ink, which is fade resistant, water resistant and tamper proof. 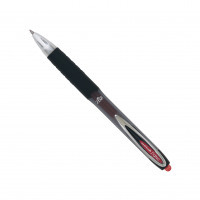 The 0.7mm tip writes a 0.5mm line width for everyday use at home, school, or in the office. 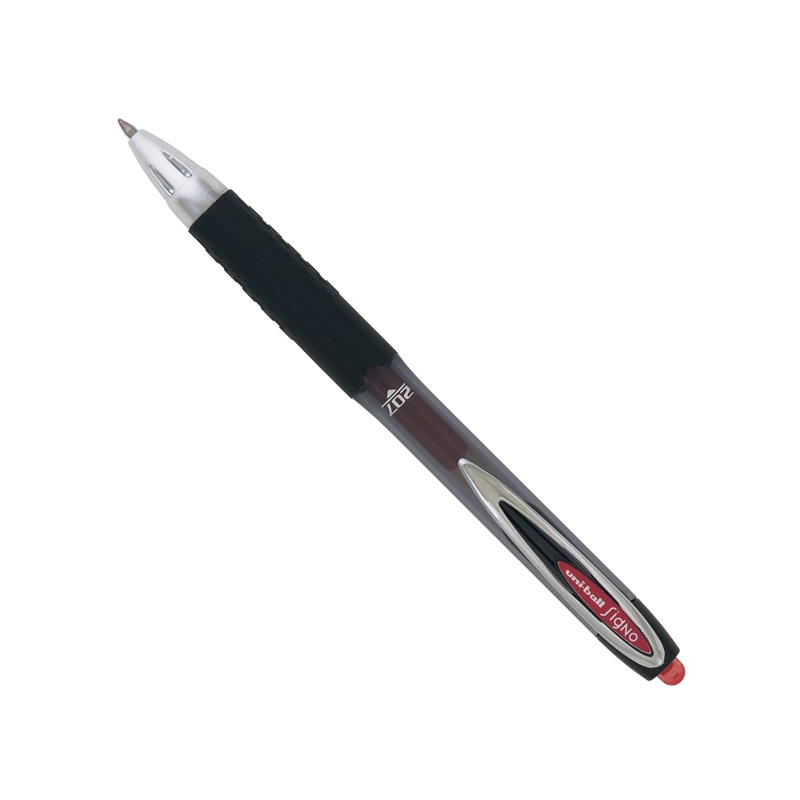 The pen has a convenient retractable design, comfortable rubber grip and a transparent barrel for monitoring remaining ink levels. 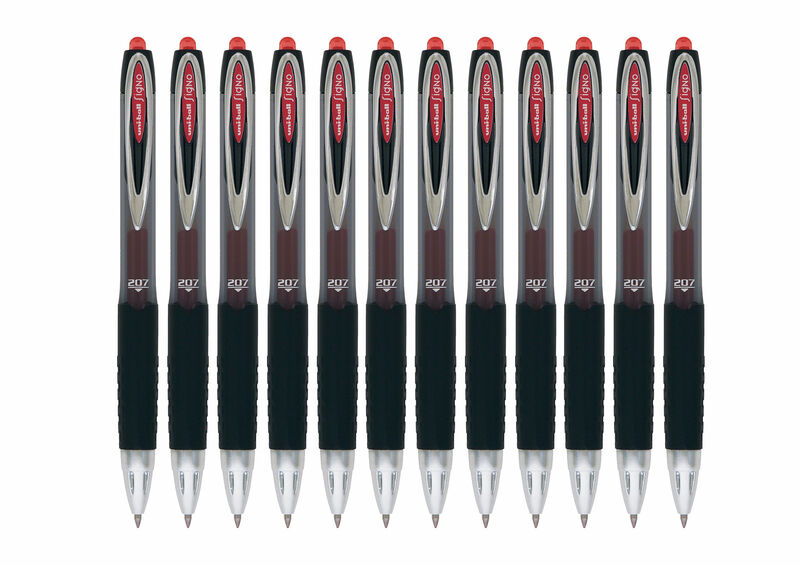 This pack contains 12 pens with red ink.